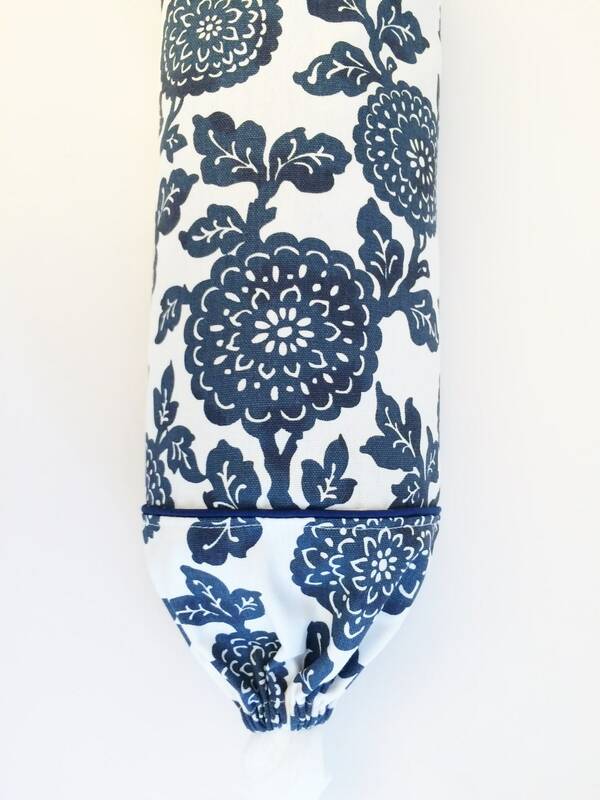 A cheerful plastic bag holder in a beautiful blue floral fabric. Designed as decorative storage for your grocery bags. Looks great in a farmhouse setting or a country kitchen. 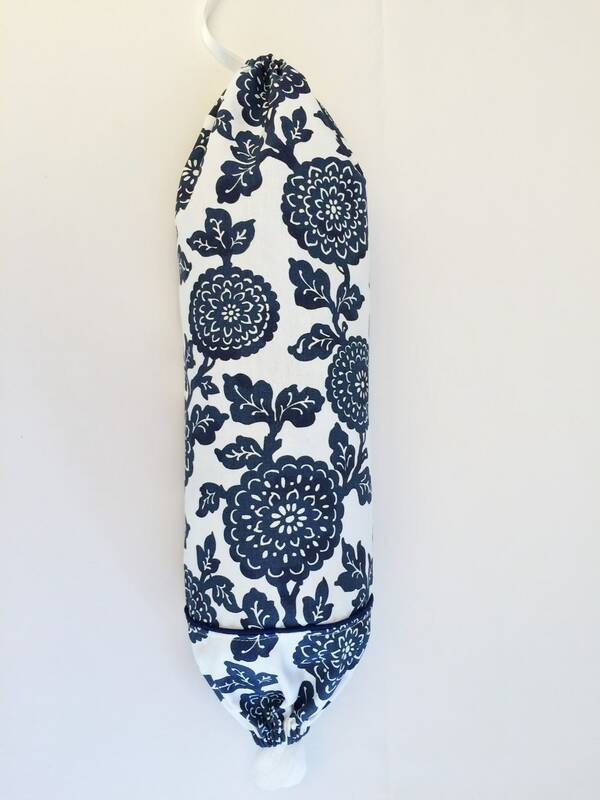 The blue and white colors give a fresh clean look to your grocery bag holder. 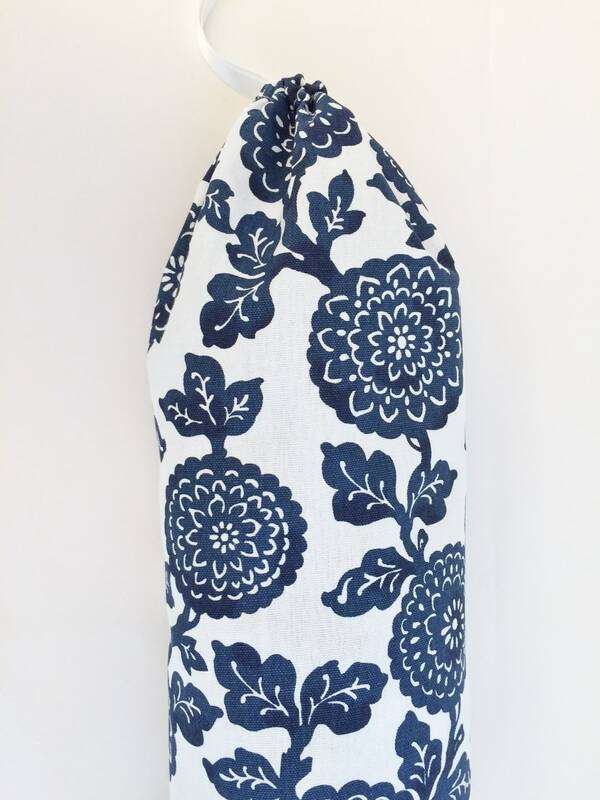 Made with a cotton print fabric, featuring a piping accent, ribbon loop for closing and hanging. The bottom has an elastic opening allowing your holder to work like a dispenser, one bag at a time. 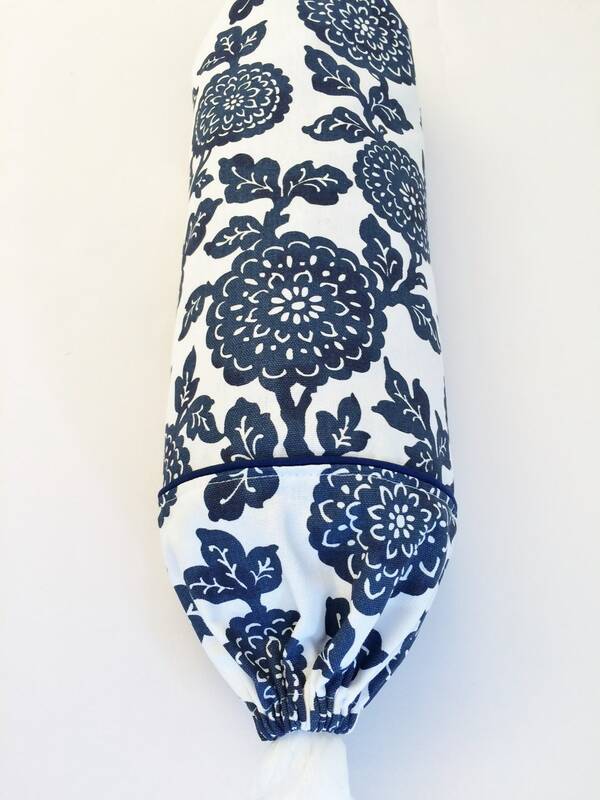 Your new plastic bag holder measures approximately 22"inches long and is very roomy inside. Once your order is received, it will ship the next business day. You will receive tracking information, allowing you to track your order right to your home. 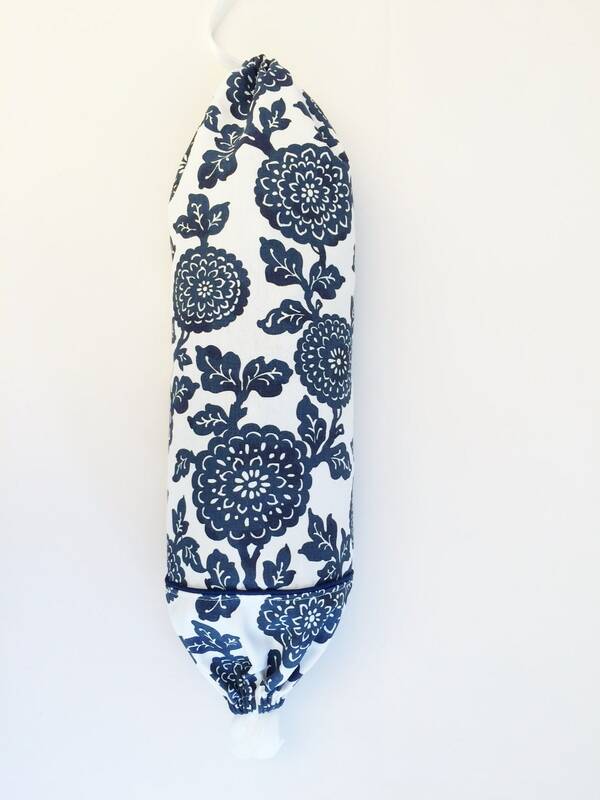 This Blue Floral design is the perfect piece for your kitchen storage needs. Looks great with a farmhouse decor or a country setting, the perfect dispenser for your plastic grocery bag. Order yours today and we will happily have it shipped the next business day.